Pick-up: Florence, Siena, Pisa, Lucca, Grosseto, Arezzo, Pistoia, Carrara. 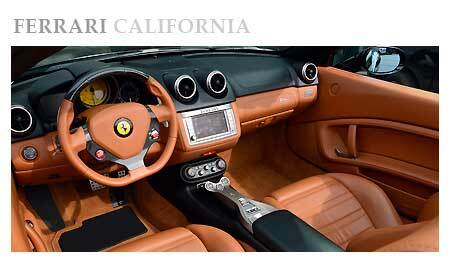 Description:The fastest Ferrari of all time, with a very bad design in coupe version and charming in convertible version. Inside is the best of technology, with exceptional details to enhance the driver even the more demanding. The interior combines luxury and sportiness for maximum driving pleasure. Available for rent with immediate delivery. 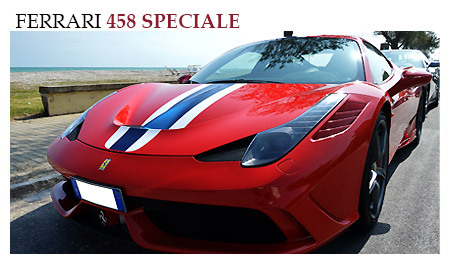 Description: Ferrari 458 Speciale is the new luxury Spider of the house of Cavallino With the naturally aspirated V8 engine, the car has further increased the power, with a sprint from 0 to 100 km times of only 3 seconds. 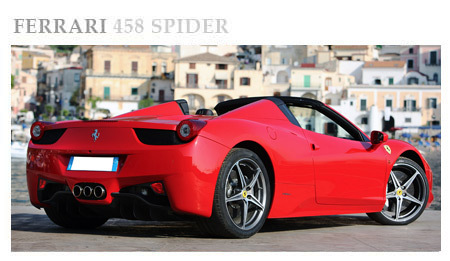 But it is not only the start to excite the driver in the Ferrari 458 special. On the track you touched 325 Km / h. Two doors, two seats, pure luxury. Available for immediate rental. Description: The harmony of shapes and the comfort onboard make it the most popular car for the luxury rental. The exterior color enhances the fit, with an aggressive design and eye-catching. The attention to detail and a true internal tailoring, with quality materials expertly assembled by Italian artisans. Possibility of delivery and collection in different cities. Available for rent with immediate delivery. 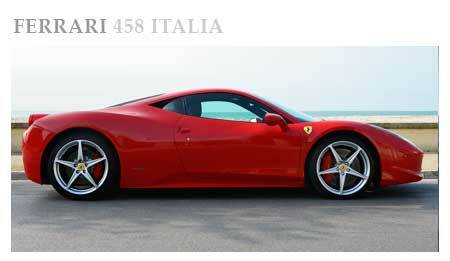 Description:Exceptional performance for the Ferrari 458 Italy, the most compact of the house of Cavallino. Two fascinating places, in a cabin by the sporty and elegant design. Designed to excite both curve in the long distances Available for rent with immediate delivery. Engine 8-cylinder V-90 degrees has a power of acceleration from 0 to 100 in 3.4 seconds flat. Exciting performance that gave the title of Best Performance Engine at internationally. on : 20 Dec . Unique supercar with two rear seats , Also perfect as a luggage rack . The change Gives an exhilarating driving experience and the elegance of the interior makes it even blackberries exciting . The ability of the brakes is impressive , with a deceleration of Formula 1 .